Following the release of their debut single ‘Cave In’, London-based art-pop trio KYOTI announce their new single ‘Curved Edge, Straight Line’. The innovatory project’s visceral new track is an introspective blend of jazz and electronica, finding room for the intelligent lyrical influences of John Grant spliced with the minimalist textures of electro producers Kavinsky, SOHN, and James Blake. Featuring a lively splash of electro keys, soulful jazz vocals and snappy percussion, it creatively combines rich synth textures with thoughtful storytelling, exploring the theme of dependency. As the band put it themselves, “‘Curved Edge, Straight Line’ is a song about searching for forgiveness from those close to you, while accepting your own faults.” The track is as musically grounding as it is thematically, with minimalist beats and a steady rhythm that rumbles away into a swell of cascading synths and keyboards. KYOTI’s aesthetic as an art outfit is every bit as important as their stripped back, electro-wave sound. The three-piece, made up of Benji Huntrods, David Mabbott and Ed Burgon, base their image and artwork on the abstractness of an ordinary, mundane world. Specifically inspired by British Modernist sculptors like Barbara Hepworth and the surrealist optical illusions of M.C. Escher, the three-piece balance their aesthetic with the over-arching impact of contemporary pop music, citing artists like Hot Chip and Joanna Newsom amongst their influences. 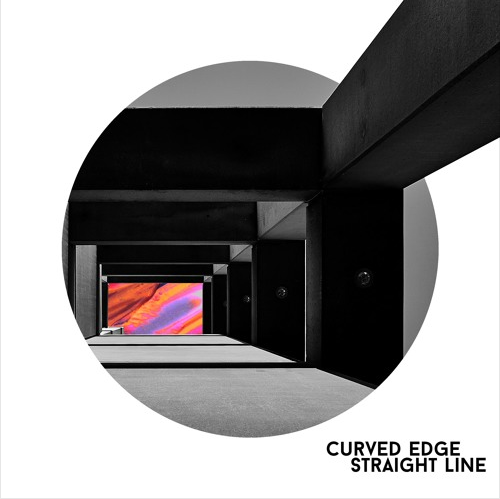 Cutting a path through music, art and narrative expression, this dynamic three-piece bring a plethora of unique talents to the fore – and ‘Curved Edge, Straight Line’ continues to cement their reputation as a band with all the ingredients for a ripe future.